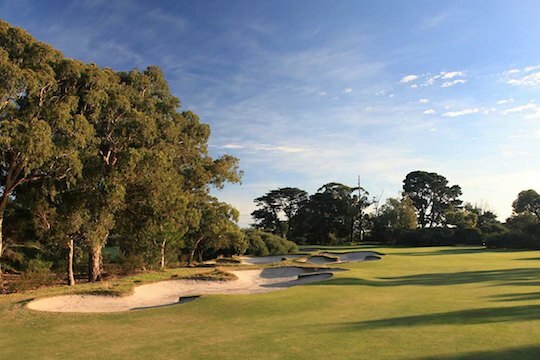 With a price expected to be close to $100 million, big-spending developers Mirvac are hoping to acquire the site of the famous sandbelt course of Kingswood in Melbourne’s Dingley Village. Mirvac, the multi-million company who have been in the throes of developing the famous Harold Park Paceway in Sydney’s inner city Glebe into housing, is hoping to build anything up to 700 dwellings on the 53 hectare site. Kingswood had no sooner notched up its century of business when the 105-year old club made the historic decision to merge with the Peninsula Golf Club to ensure the club’s financial viability. A decision was then made to sell off the Dingley course by members of the private club, despite some spirited opposition which saw just 63 per cent of the members vote in favour of the sale. The Peninsula Kingswood Country Club didn’t need the Kingswood club’s Dingley site, they already boasted not one, but two highly-rated 18-hole layouts as well as their own hotel and tennis courts. It was reported that Kingswood members would have half-price fees at Peninsula and when the rezoning and land deals were done and trade losses accounted for the new club would have as much as $40m in the bank. And according to Kingswood general manager Heath Wilson, that would make it the wealthiest and most asset-rich golf club in the country. It has also been revealed that locals produced a 20-page book entitled Kingswood: The Central Park in Dingley Village, covering the loss of the amenity and the possible environmental and social impacts of any housing redevelopment.